Crazy Metropolis from Sonic 2 / Безумный Метрополис из второго "Соника". Nice work with the perspective! The perspective though! It's awesome! Tails looks great, I also soon noticed little Sonic all the way over there. Finally! 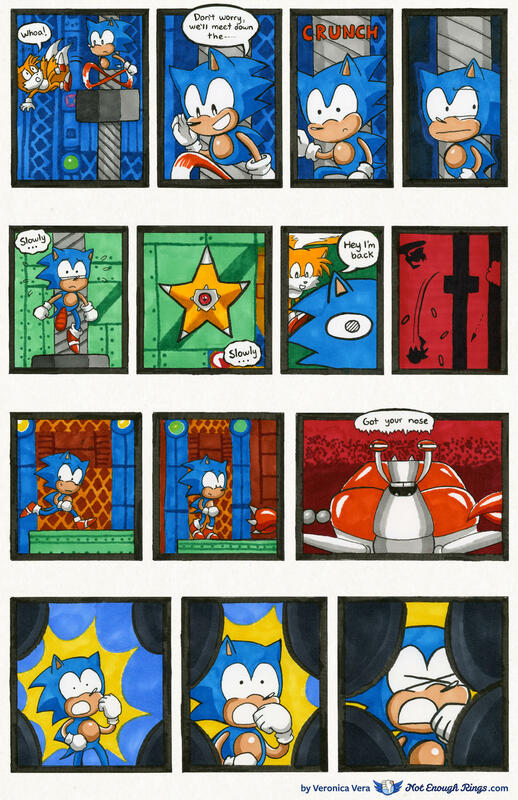 Someone made awesome zone art that features Tails! And in Metropolis Zone no less! Uh, anyway, the way you drew/painted the picture is very pleasant to look at. 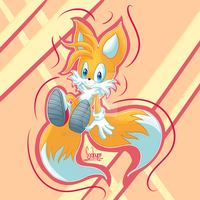 The colors are good, and Tails looks as cute as ever. I don't know how many times I ran into those wretched stars while trying to deal with that nut! Gratefully, I was FINALLY able to beat that wretched act last night. Now I'm stuck on wing fortress. Now THAT one gives me the abdabs because of the falls! Oooh I really love the perspective in this piece! The way the floor drops away is great!